When you interlink your identity-motives-control atmosphere, which you read about in our newsletter issue #090 , with your shared-courage-personal atmosphere, which you read about in our newsletter issue #089 , you will realize that the linker between these two atmosphere venn diagrams is your-personal-identity (YPI). 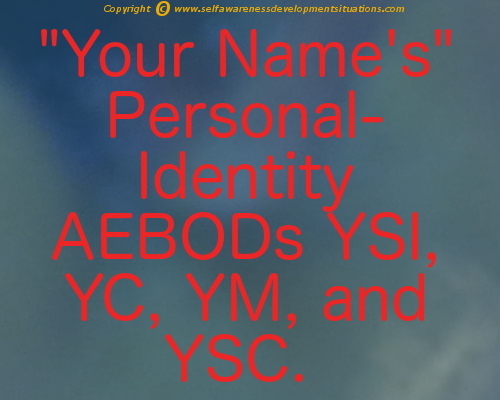 This means that your-personal-identity links your-motives (YM) and your-self-control (YSC) on the one side, with Your-Shared-Identity (YSI) and Your-Courage (YC) , on the other side. 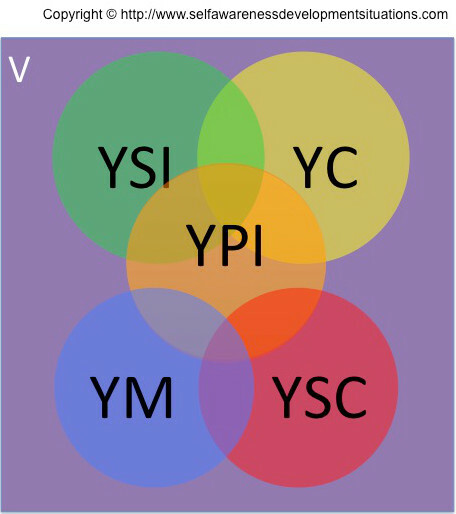 Mentally visualize this interlinkage in the following (complex) venn image. Note: Remember to Replace The Words "Your Name", "Your", "You" with Your Actual Name and Then Verbalize Your Formulation! Look forward to more on Awareness Situation's Series on your awareness consciousness of personal qualities chart - The PQ Chart. This "how-to" stuff is a snippet from our unique course on self-leadership by your own precision words. You have just read some of our solutions to the ever-present challenge for a fresher and more advanced consciousness in today's world. So take a preview of the course by visiting Self-Leadership By Your Own Precision Words for Beginner's at Udemy. If You Want to Know What's New! Awareness situations periodically releases articles on self awareness development situations focusing on how you can overcome in any situation you find yourself in. Why Do I Use SBI? SBI is a well integrated set of Tools, Processes and Teams You Will find In One Place Online with tremendous support from different viewpoints.